Far, far in the distant future, after Earth suffered a harsh answer as to whether there was “life out there,” battles with the aliens have become regular, boring events. Until one person accidentally realizes that things are changing, and the biggest battle yet is coming. Ninth City Burning is told from multiple perspectives during the ramp-up and leading into the battle with the aliens, as all of Earth holds their breath and waits to see who will live—and who will die. Though this book is being billed for fans of Red Rising, I would have to respectfully disagree. Yes, it is science fiction, but…that’s pretty much where the similarity ends. First of all, Ninth City Burning has at least five different perspectives in which the story is told from. For my liking, that’s at least two too many. After a while, it gets hard to reconcile where each has been to where they are now, since you have to get through four other characters in order to get back to where you left off. There is simply too much going on. And as an aside to that, one character (and only one) has footnotes to her chapters, and it is annoying to be suddenly thrust back into those—and none of those I bothered to read really seemed to *add* anything to the story. It was almost as if the footnotes were added just because the author thought the character might use them. As for the story itself, it is an interesting take on the “alien attack,” and the way magic is tied into the technology is unique. 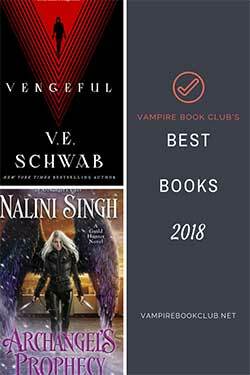 The characters are well done and of varied backgrounds, each giving their perspective on what is happening, which ties things together—though fewer characters should have been able to do the same thing. The novel ended as a stand-alone book might, though I cannot guarantee that there will not be more to come. 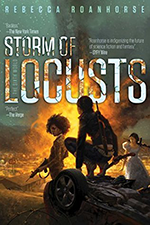 I’m sort of hoping not, because the stand-alone sci-fi/fantasy novel seems more and more rare these days, and it would make for a pleasant change of pace. Overall, if you don’t have a problem with quite so many viewpoints, then Ninth City Burning would certainly be worth reading. 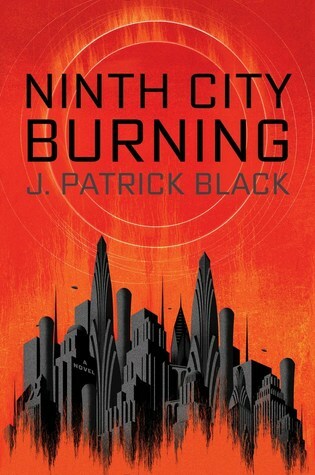 For a debut novel, Black has done a good job creating a world that is both similar to, and absolutely different from, the Earth we all currently call home in Ninth City Burning.